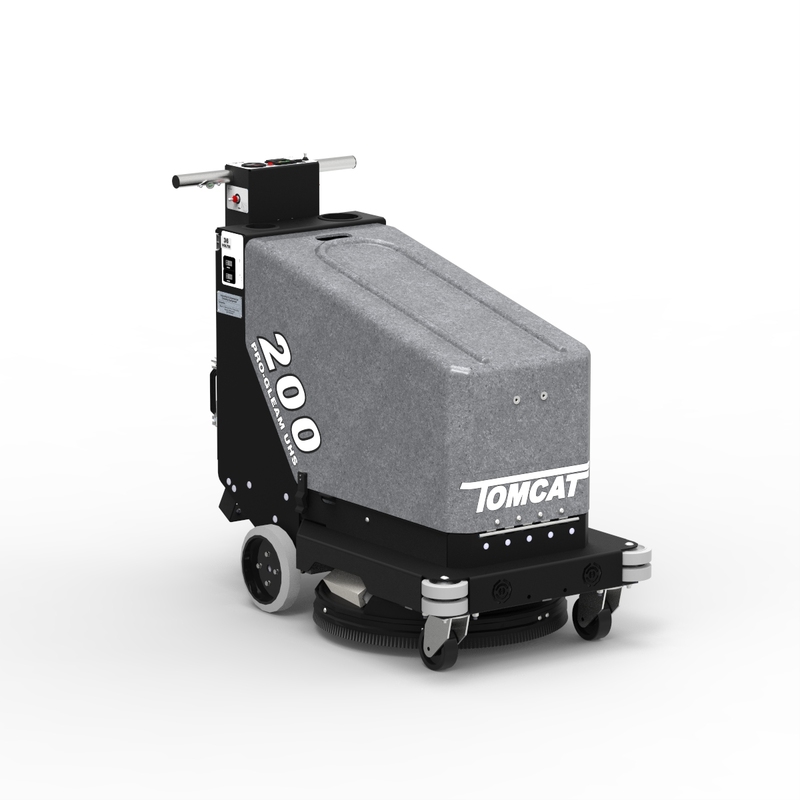 The 200 UHS Pro-Gleam is a spectacular floor polishing machine with the ability to create such a high shine to even give the oldest concrete a mirror like shine! Use in correlation with our Diamabrush or SNAP! 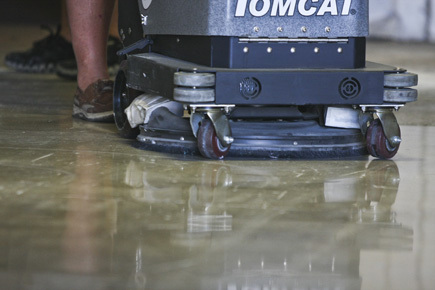 Concrete Polishing systems for even better results! 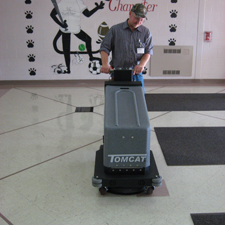 Our Walk Behind Burnisher can create a high shine on newly prepped topical floor finishes chemically free. No need to lay more finish down! Save time, money, and labor with our EDGE technology and our UHS Burnishers together. 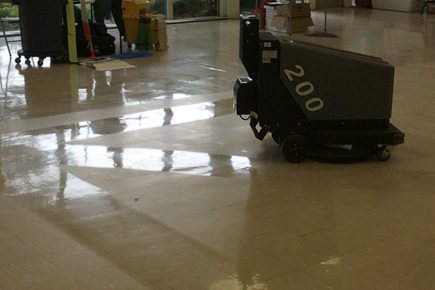 Save money on electricitally bills by keeping your floors highly polished to more evenly reflect light! 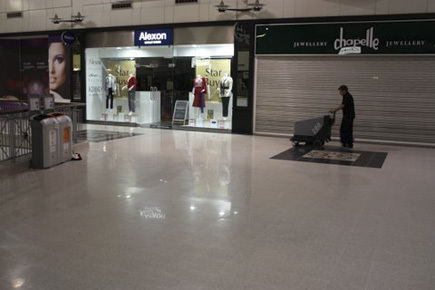 With our Concrete Polishing Systems and our UHS Burnishers, you can turn your Concrete floors into a high gloss surface that will overall require the area to need less light. 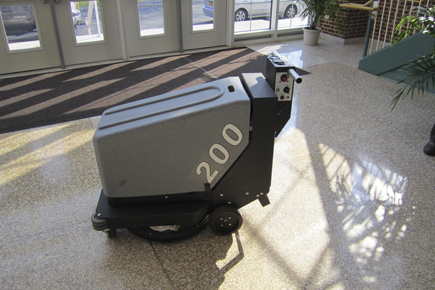 The 200 UHS Pro-Gleam is a great floor burnisher for many variants of commercial applications: from schools, to hospitals, to malls, this quiet sleek machine won't disturb others and will prevent dust from spreading everywhere. 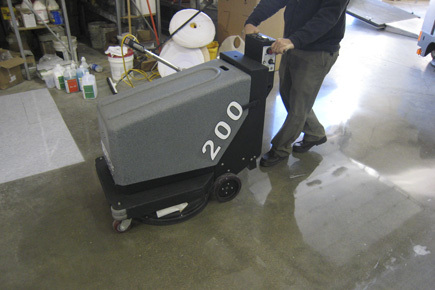 The Model 200 can easily polish large areas of Stone flooring such as Terrazzo as part of a Preventive Maintenence program to create less spending on refinishing, recoating, and machine scrub cleaning. The Walk Behind Buffers have easy access to the pads by our "tip back" feature. This makes for easy machine maintenance and access if there is any future need for such. 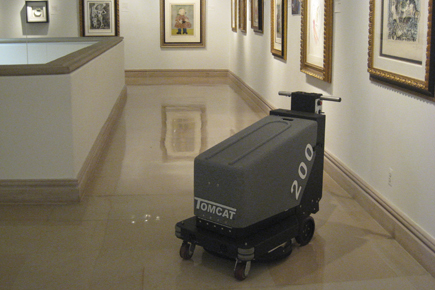 Even in museums with priceless artwork, customers trust our machines and that they don't spread dust and damage rare artifacts. 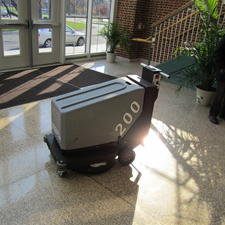 Just like these images display, the 200 Floor Burnisher is applicable wherever the job is needed. 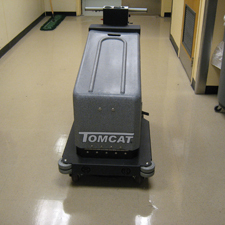 These convenient and simple machines don't skimp out when it comes to getting the job done right!